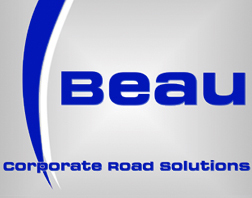 Corporate Road Solutions are UK road haulage specialists - provide a range of services to clients throughout the UK. Corporate Road Solutions, offer a wide and varied range of services including taut liner, artic, box van, rigid vehicles, flat trailers and temperature controlled trailers and can transport all types of cargo throughout the UK and beyond. We can handle pretty much any size of cargo for same day or next day delivery. of the country and welcome enquiries from throughtout the UK. We manage a large fleet of vehicles, ensuring the highest level of service at all times and giving you peace of mind that your transportation project is in safe hands. To give you an example, we run a trunking operation from the East Midlands to Central Scotland. We will be advised at 11am of the volume, which could consist of between 3-6 vehicles, to load by 2pm and to be in Scotland by 23.59pm that same day. To date, we have moved over 800 loads with a failure rate of just 0.04%.